From time to time I scan my archives for dishes that I like to “reheat” and share again. I think you’ll like this recipe because the cakes are super light and crispy. Last Fall the chef at the Abilene Country Club prepared this for one of my book events and paired it with a Texas Trempranillo wine. Delicious! Gulf Coast crab reminds us of our history. Most anthropologists assert that the Karankawas, lean, dark and tall (6 feet), lived on the Texas coast for thousands of years (La Vere, 2004). European explorer documents describe their food and their cooking techniques but we’ve lost much detail because the oral culture and traditions are lost. I can imagine Karankawa families enjoying crab cooked in different ways, much as they did corn cakes, perhaps roasting them, seasoned with the surrounding herbs. Tragically, their life and culture reached a bloody end. Let’s serve the table, a table for all. 1. 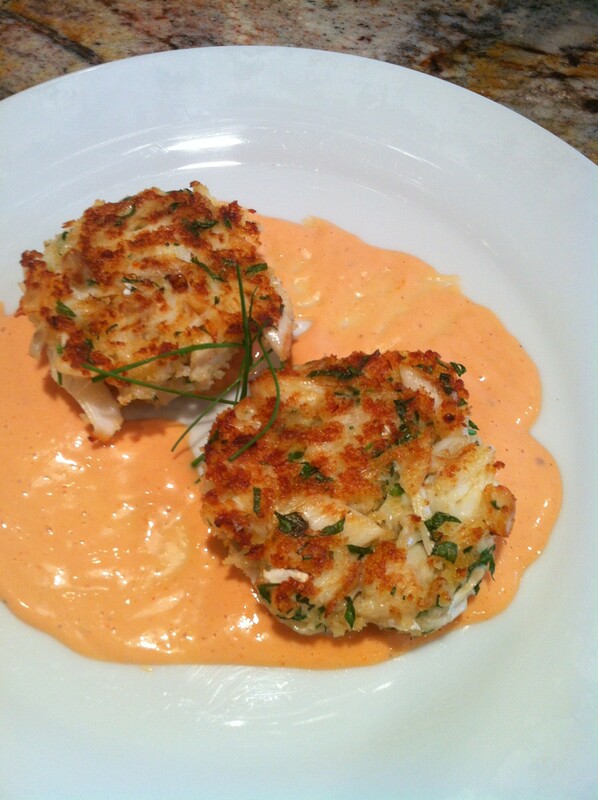 In cold water, wash and pick over the crab meat gently so it doesn’t break apart, set aside. Serve immediately with Mayonesa De Yerbaniz, recipe in my previous blog. You won’t be able to find yerbaniz at the grocery store, so make a leisurely trip to the nursery and buy a small plant. The scientific name is “Tagetes Lucida,” and it’s sometimes called sweet mace, Texas tarragon and Mexican tarragon. It has attractive yellow flowers, so it’s a great addition to your flower and herb garden. ¡Buen provecho!